In Here We Grow, Davis provides a refreshing new paradigm of integrative living that doesn’t deny the hardship of a situation, but instead encourages meeting difficulty through embodied heart-centered presence. Utilizing mindfulness, meditation, and mind-body disciplines, she shares a tool kit for transformation as she learns to befriend her body, cope through compassion, face survivor’s guilt, create a “new normal” post treatment, and discover the unexpected awakening of intuition and open-heartedness in the healing journey. 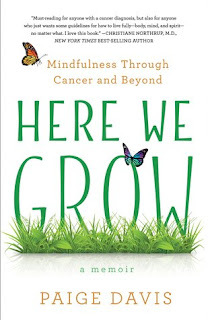 Filled with honesty, humor, and present-moment awareness that reveals our true capacity for joy, connection, grace, and resilience, Here We Grow is Davis’s story of meeting fear and uncertainty with mindfulness, meaning, and the unconditional love inherent in us all. I appreciate Paige sharing her story with readers. Although, I have been lucky to not have the word "cancer" appear in my vocabulary when I describe myself, I have had cancer appear in my family. Not just mine but my husband's family as well. Also, not just breast cancer either. Paige provides readers a personal and inside look into the journey of cancer...the diagnosis, treatment, cancer free, and reconstructive surgery. Besides all of these stages; there is also the support system of family, f I appreciate Paige sharing her story with readers. Although, I have been lucky to not have the word "cancer" appear in my vocabulary when I describe myself, I have had cancer appear in my family. Not just mine but my husband's family as well. Also, not just breast cancer either. Paige provides readers a personal and inside look into the journey of cancer...the diagnosis, treatment, cancer free, and reconstructive surgery. Besides all of these stages; there is also the support system of family, friends, medical team, physical and mental wellbeing as well. If anything, Paige shows how important mental wellness is very important. 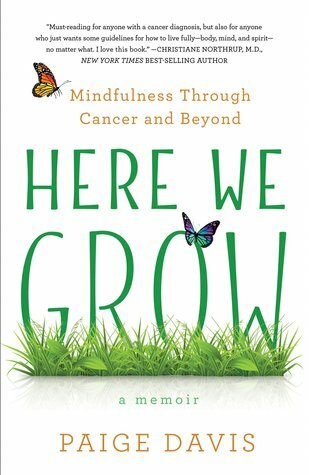 For anyone who is a cancer survivor or has a family member or friend that has been through cancer, then, you will want to read this book.